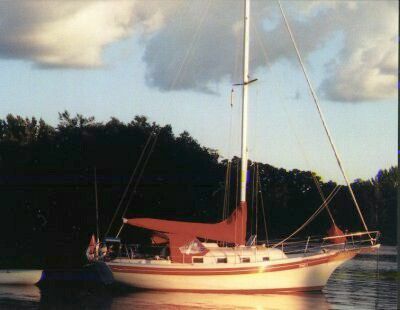 This is a world cruiser Pacific Sea Craft 34 located in San Pedro. Owner passed away and wife wants her sold. Work has been done to clean her up inside and out and a knowledgeable sailor is over seeing the work. Owner was getting ready to take her to Hawaii and world cruising. 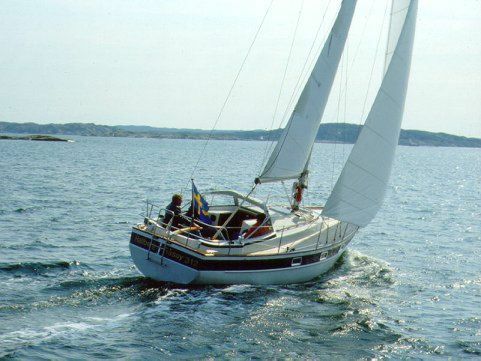 Not only does she have your normal cruising equipment but a lot of extra gear, spare parts and a lot of extra equipment you won't find on other boats. She still needs outside varnish and bottom paint. Some of the equipment needs work to get operational and tested. 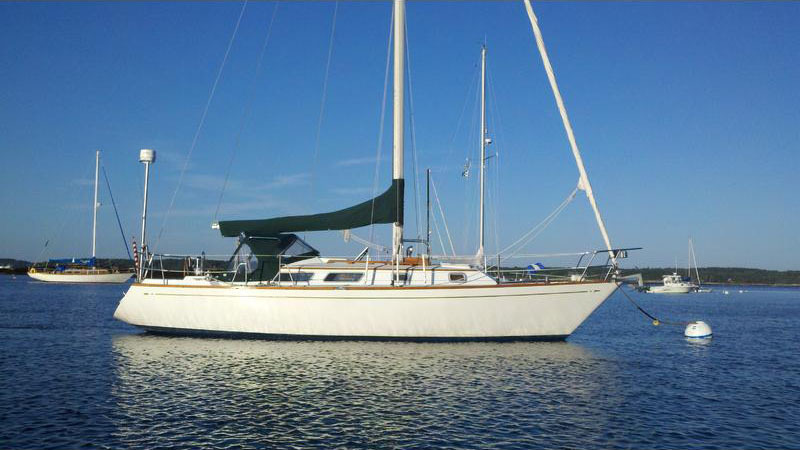 She is located in a really nice-up wind marina. Price dropped April 2019. 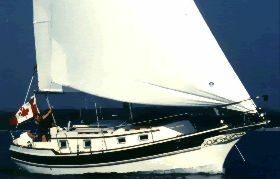 The Pacific Seacraft 34 offers fast performance under sail, seakindliness, ease of handling, comfort and timeless beauty. All the advantages of the Crealock-designed canoe stern with its ample overhang, well-proven in other Pacific Seacraft, are incorporated in the Pacific Seacraft 34. The Pacific Seacraft 34's moderate displacement contributes to both comfort and speed. She is light enough to make her swift, heavy enough to make her comfortable, and spacious enough to hold ample stores for a long passage. Belowdecks, she's light, airy and exceptionally commodious with 6-foot 3-inch headroom; a spacious, versatile salon; U-shaped gourmet galley; and bunk space for six. 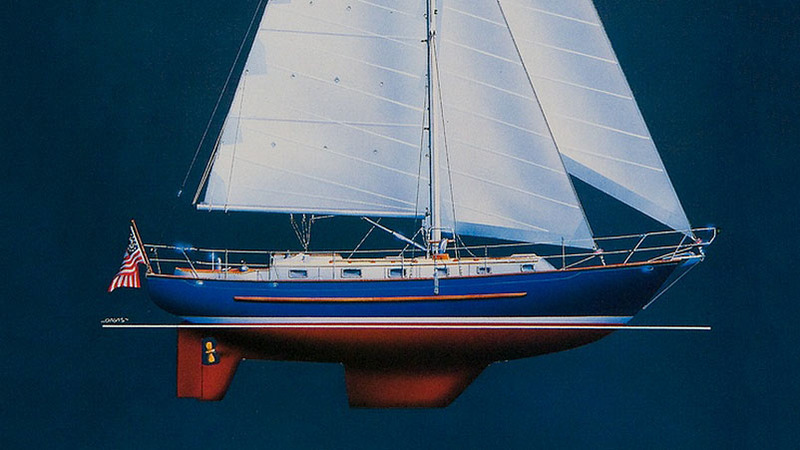 Her quality is evident in solid bronze fittings, teak joinery, a hand laid-up hull and molded fiberglass interior.